1991 Volvo FL6 Fire Truck Engine (Low Miles 86,997kms) Engine Model: TD61 F ..
2001 ERF EP6 Cummins BTAA 210 bhp EngineEngine is very clean, fully tested with no smoke and low hou..
2006 DAF LF55-180 Complete EngineEngine Model: ISBE 185 30Power 136 KW @ 2500 rpmDAF ID: CE136CEngin..
Cummins BT 6 Cylinder Non Turbo Engine for Breaking OnlyMany more Cummins engines and engine parts a..
DAF LF45 170 Cummins Paccar ISBE170 30 EngineYOM 2001, engine is fully tested and good running. Appr..
MAN 8.153 Engine DO824 LFL 01Serial No. 058751550N361..
MAN/ERF ECM Cummins ISBE220 30 EngineYOM 2004 Engine good running engine fully tested. Approx 274,00..
Mercedes 814 OM 366 Engine From Horse Box TruckSerial no. 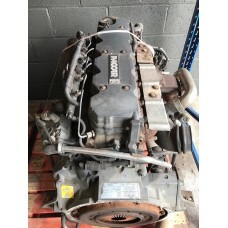 366.905-20-043380Approx 242,000 kms..
Mercedes OM904LA V/2-02 Engine 2009 Atego For Spares/RepairEngine model no. 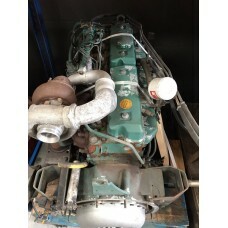 OM 904LA V/2-02Engine no..
Volvo D10 Horizontal Flat Bus Coach Engine Spares or Repair..
Volvo TD61 A Penta Industrial EngineEngine Model TD61 A 867903Enigne Serial Number: 1101003567/15118..